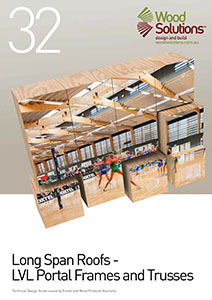 These Guides are based on the EXPAN system, which is the result of years of research and a unique collaboration between commercial and academic partners to create innovative structural timber solutions. Combining all the strength and endurance of steel into the lightweight elegance and flexibility of timber, the EXPAN prefabricated construction system brings timber into the commercial and industrial design age. EXPAN’s totally prefabricated technology cleverly embeds post-tensioned tendons into timber to lock the system together. The range includes revolutionary timber frame, wall and floor systems and quick-connect portal frames. The result is a cost effective, time efficient system that opens new doors in design and construction of commercial and industrial buildings. With EXPAN, you can use engineered timber framing to create wide open spaces and build layouts with flexibility like never before – without the need for closely spaced columns or walls. The guides are available at the base of this page. You must be a registered user to download documents – registration is fast and free. Timber Concrete Composite Floors presents design procedure for TCC floor structures with worked examples of spans up to 10m. 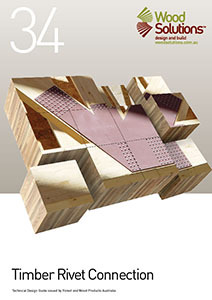 The guide covers design, performance, acoustic considerations and manufacturing provisions. Three types of efficient timber roof configurations have been included in Long Span Roofs – LVL Portal Frames and Trusses. The guide presents optimised design solutions for a range of long span LVL portal frames and trusses under different loadings. A new rod-based connection overcomes many of the issues experienced with traditional portal frame structures. Quick Connect Moment Connection provides detailed design approaches for a variety of connection types. Efficient connection can be achieved by decreasing the difference between the capacity of wood and rivets. Timber Rivet Connection explains the timber rivet connection, optimised for the use of structural seasoned wood products. 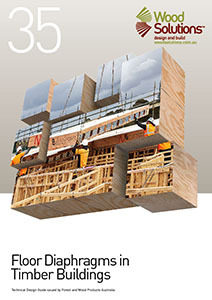 Floor Diaphragms in Timber Buildings presents designs for flexible and rigid diaphragms, including structural elements and connections. It covers the terminology, concept and design of timber diaphragms, as well as a design example. 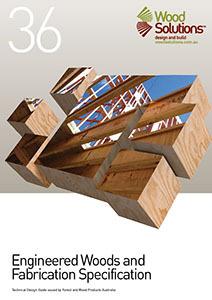 The first part of the Guide presents the terminology, concept and design of timber diaphragms with their connections to the lateral load-resisting system (LLRS). 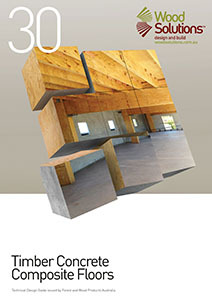 The second part reviews a design example of a timber-concrete diaphragm and its connections to the LLRS. The diaphragm is subjected to the wind load applied perpendicular to its long side. 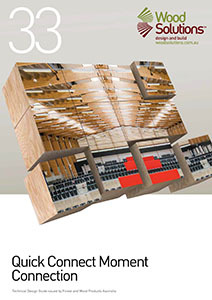 Engineered Woods and Fabrication Specification presents a summary of the fabrication and installation specifications of LVL and glulam, including recommendations for storage, transport and assembly. It also covers moisture considerations. 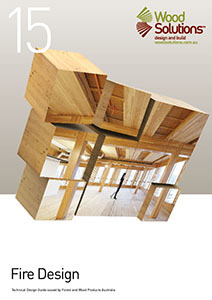 A summary of fire safety design in timber buildings, Fire Design covers a number of considerations. It looks at EXPAN-developed systems, structural stability in fire conditions and design to reduce the risk of fire spread.